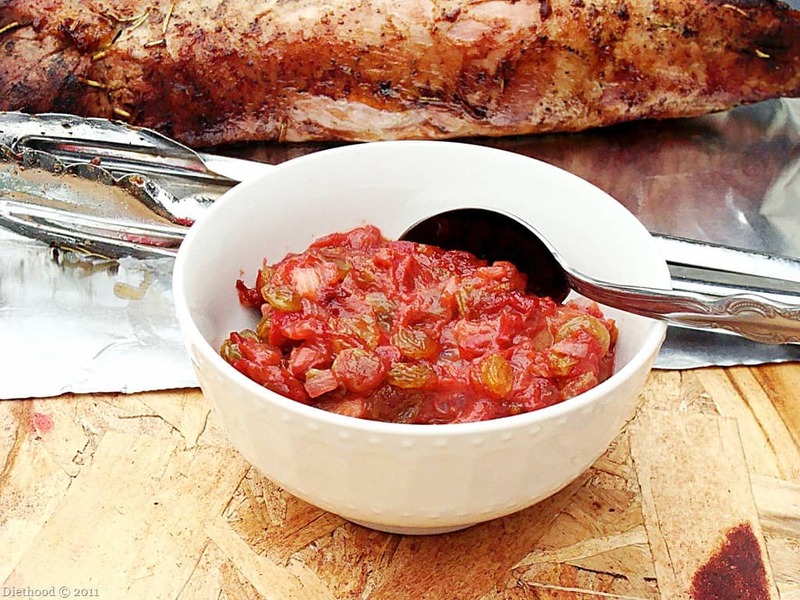 Rhubarb Chutney – This tangy condiment is delicious on top of grilled meat, crusty bread or over roast chicken. Once upon a time I thought that this was Celery. Red Celery. Then the Food Network told me that it had its own name; Rhubarb. When you grow up in a household that serves Macedonian food 100% of the time, you kinda don’t find out about these other foods until you start driving. Or start watching the Food Network. We didn’t have The Cooking Channel back then. Random: My cousin, Gerry, and I watched the Food Network once for 12 hours straight. Once we finished with that, we started watching The Godfather – I, II, and III. Usually by this time of year rhubarb is everywhere. But this year, for whatever reason, it came a bit late in this part of the country. I was on the hunt for rhubarb for three weeks. I went to three different farmer’s stands and none of them had it. For the love of food, all I wanted was just a few stalks of rhubarb! Finally last week there it was in a big brown box, sitting there lookin’ all red and pretty. The owner of the stand gave me a discount on it because he remembered me from the other times that I came to see him for this veggie. 🙂 or fruit. (scratching head) Which one is it? 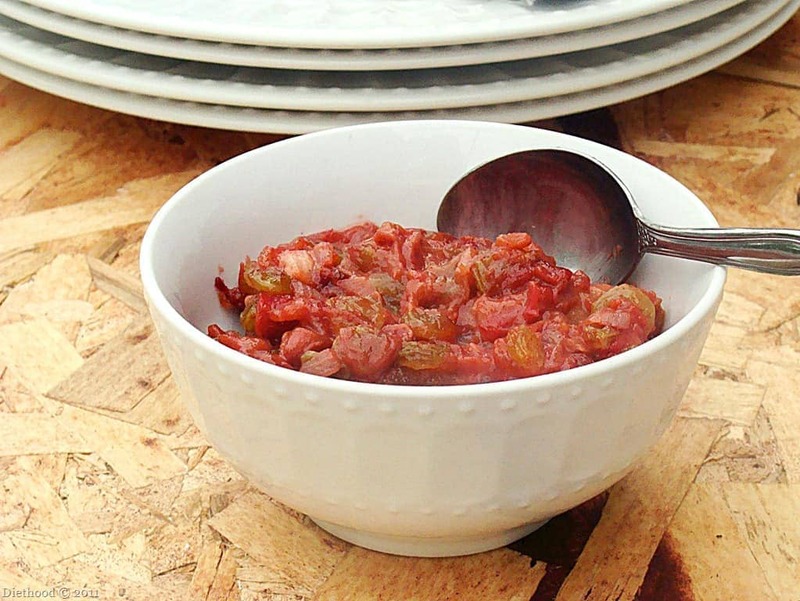 Rhubarb Chutney - This tangy condiment is delicious on top of grilled meat, crusty bread or over roast chicken. Add onion and cook until softened; 5 minutes. Mix in the rhubarb, raisins, sugar, ginger, and cinnamon. Cook over medium heat, stirring occasionally for about 6 minutes, or until rhubarb begins to break down. Serve it with some pork! YUM! Really enjoy Rhubarb but I haven’t seen it around here yet either. This looks great. Yummy Kate and sounds so good with pork. I was looking forward to this post! I am in love with chutney and now one with rhubarb – perfect! Enjoy the long holiday weekend. It does look like red celery! I am also new to rhubarb and have only cooked it once. This chutney sounds perfect with pork. I bet this is good on just about EVerythiNG! I love rhubarb and wish it’s season lasted longer. Yum! Wish I’d come across this a couple of hours earlier; I just made a rhubarb dressing, and am sure this chutney would also have been super spectacular with the chicken I grilled! Yay for Red Celery season! How did you make you dressing? love all things rhubarb. You can email me if you like. Looks like celery to me, too! Easy mistake to make right? 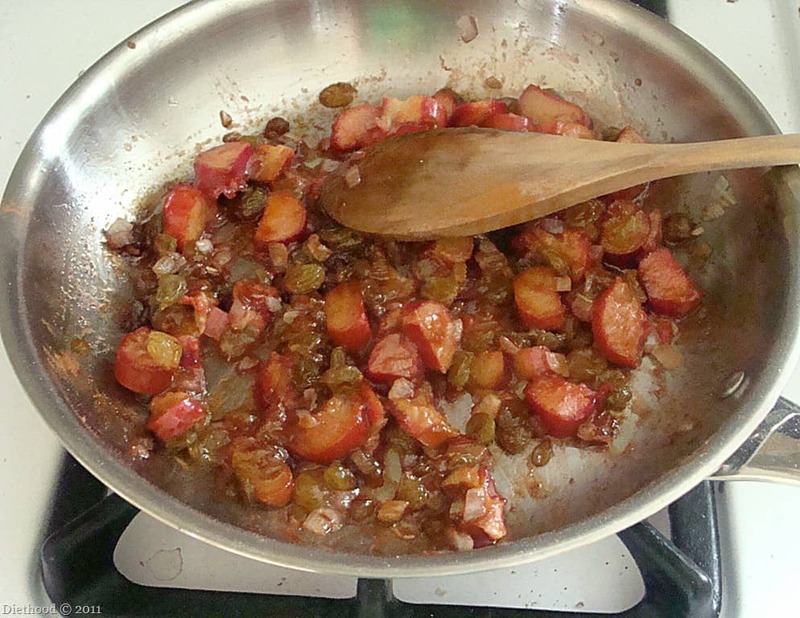 We’ve had Rhubarb Pie, Apple Rhubarb Pie but never Rhubarb Chutney. I’ll bet this is absolutely delicious…. Perfect with your pork! YUM! Haha you are funny about red celery, but that was once upon a time. In my case it’s VERY recent. LOL. You are right – I grew up with Japanese food and even I came here I only cook Japanese food (except for few western food). 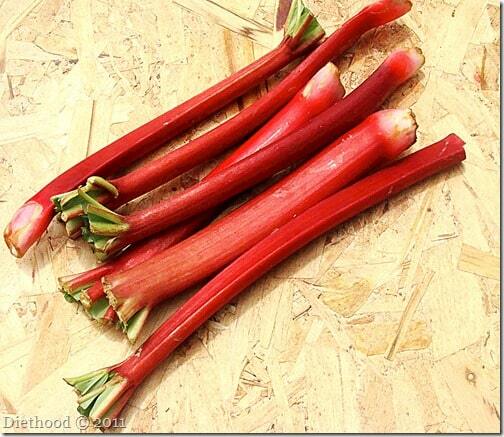 Until I started blogging and rhubarb in season, I really didn’t know it wasn’t red celery. Your chutney looks amazing. I only wish I know what it tastes like. I believe you, it looks great with the pork…. YUM! Aaah everyone is making things with rhubarb and I have never tried it. I think I am getting food envy since all these dishes sound so yummy. Yummy! I love rhubarb but my stupid local grocery store doesn’t carry it. 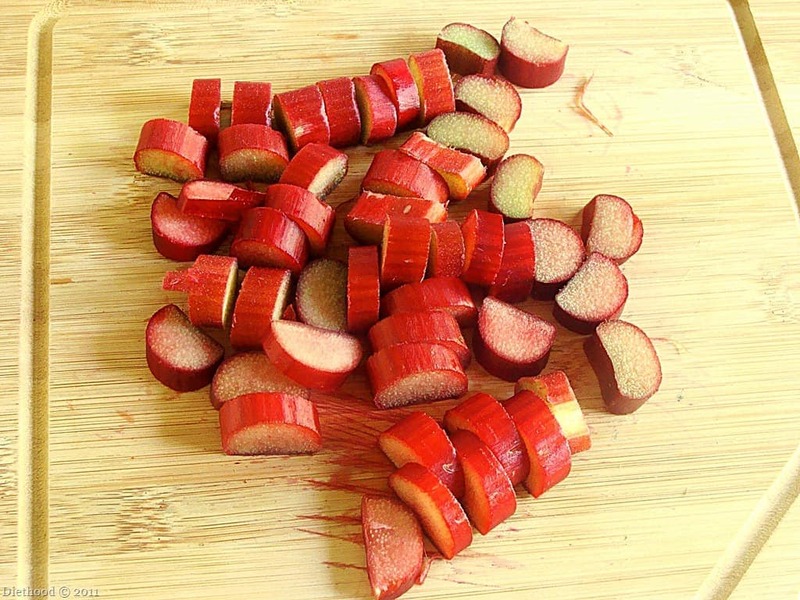 You got me to put rhubarb on my grocery list for the first time…. I completely get sucked into Food Network all the time, sometimes even if I don’t like a show, I leave it on….crazy! The chutney looks wonderful, now I have something to do with my extra rhubarb! I have never used rhubarb before but this has definitely intrigued me. Red celery… how cute! Arrrrgh… Kate!!! 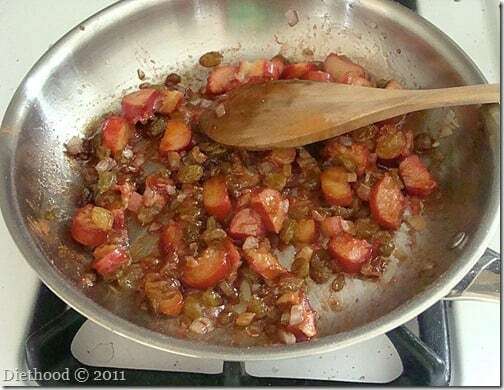 I have been wanting to try a rhubarb chutney all spring and finally gave up looking for a recipe. This morning, I cooked up the last of my rhubarb with some blueberries and strawberries to mix with yogurt and ice cream or put in smoothies. I wish I had seen this before I did that. I would have given it a try. hmmmph. I will have to remember this for next spring. I’m dreading the June FFwD recipe that calls for rhubarb because I’ve never seen it here in Puerto Rico. Between your chutney and all those strawberry/rhubarb pie recipes I’m super curious. This is a lovely recipe. I normally put my supply of rhubarb into cake or crumble but I shall save some to try this out. My neighbor just gave me some beautiful rhubarb stalks from her garden. That’s when you know you have a good neighbor. This looks like a great use for them! 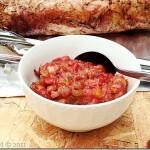 I’ve never cooked rhubarb, but your chutney looks really delicious and I do love to try new recipes :). Thanks for sharing that, Kate!!! ahhh i love this rhubarb idea!!! and the deep red color will dress up any dish beautifully. i have to go buy some now :). I love this recipe! My husband loves rhubarb, and since it’s only around for a short period of time, I always end up making desserts with it. I love the idea of making something more on the savory side. Great idea! Mmmm, serving this with pork would be so delicious! I love the addition of raisins, what a perfect touch. Also, the marathon tv day? Awesome! So so good. I’ve been looking for a way to pop my rhubarb cooking cherry…something easy and yummy. I’m thinking you’ve just sorted me 🙂 Thanks for sharing! Yay! I was hoping you’d post this one. I can’t wait to give it a try. 🙂 It looks delicious. Now I just need to find my local farmer’s market. It does look a little like celery but I never noticed ;). 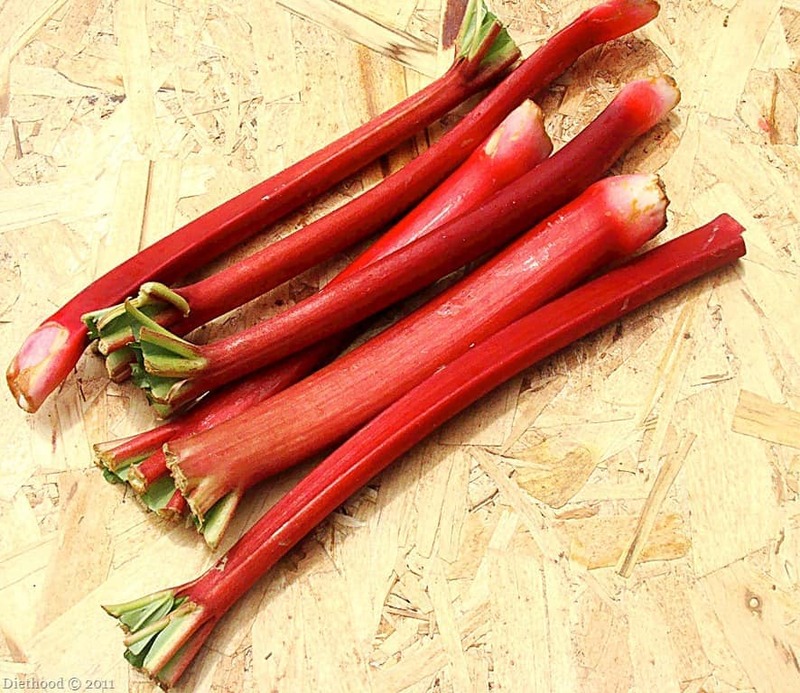 My grandmother had rhubarb in her garden and I ate tons when I was a kid! Didn’t see any here yet either. Your chutney sounds really good, anything with rhubarb sounds good :P.